Welcome to the Internet home of professional angler Mark Menendez, of Paducah, Kentucky. Here you will be able to keep up with Menendez as he travels the country competing on the Bassmaster Elite Series. 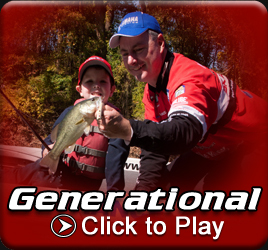 You will also be able to learn more about how Menendez has become the 17th ranked angler in the world, the techniques that brought him there and the dedication to his craft that make him a favorite among fans and competitors alike. Along with his frequent tips, Menendez will provide current information on his sponsors' new products and how they have helped him build a career that has become one of the most recognizable in the business. Please feel free to click around to all of the links and send in any questions or general comments regarding Mark and his career. We welcome you, and look forward to sharing Mark's successes and struggles with you.